We take childcare and development seriously. Between 0-3 years the brain grows faster than at any other point in your life. That’s why it’s vital to help grow a child’s emotional and intellectual capabilities during this stage in their maturity. The more diverse and interesting the experience, the more your child is engaged. 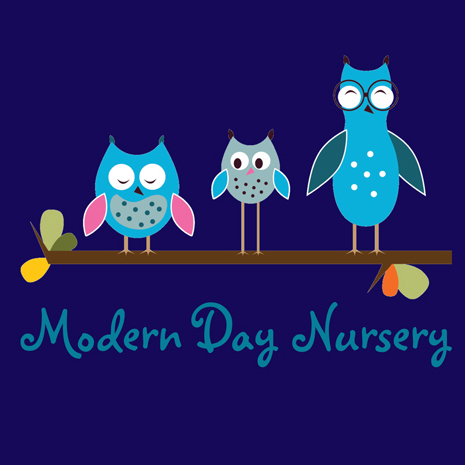 At Modern Day Nursery, we try to replicate the family environment as close as possible. Every child has a key carer who’s responsible for their development and well-being. We focus on providing family style activities including eating together on a table, or playing with children of varying ages. We also try to let children mingle with children of all ages instead of restricting them to a singular age group. Your child learns best when they can actively follow their own interests. We’ve designed a physical environment that encourages children to explore and develop. Our garden gives your child the opportunity to run, climb, balance and jump. With our trikes and bikes, they can learn more complex motor skills and gain confidence on two wheels. In our nursery, the adult’s role is to enable and facilitate activities rather than dictating what they’re allowed to do. We’re on hand for encouragement, praise, cuddles and high fives. With our pre-schoolers, the same idea applies, although the activities are more focused on literacy and maths. We always aim to make learning a fun and interactive experience that ultimately encourages your child to learn.